Water is probably one of most boring drinks around I admit, there is no taste to it so its not the most inviting of drinks to have but it is one of the most important. That is generally the way isn't it - The things that don't taste the nicest are generally the best for you. I do generally drink a lot of water during the day and only tend to have coke when I have Mac Donald's, I don't know why but Mac Donald' and coke are the best combo. So as summer is fast approaching I thought I would share some important points about being hydrated. Your body relies on water to survive and with your body being made up of around 60% water I would say it is pretty important to stay hydrated. Your body uses this water to do a number of functions such as maintain your temperature, Helps your joints stay supple, Transporting nutrients and oxygen around your body and removes any waste. An added bonus to this is that staying hydrated really helps your skin look fuller and help your skin look amazing. I might even do a water challenge and see the difference in my skin before and after what do you think? If you guys are interested in joining me do let me know and we can do it together. How you much drink does depend on a few variables but a general guide should be 1.5 - 2 Litres a day. What is an added bonus is that this count also includes the water you take in while eating foods and other kinds of drink. If your exercising you will need more water and you will be sweating more, and also in the summer month we tend to loose a lot more water. Water is the best form of hydration as it contains not extra sugars or calories and is generally free. 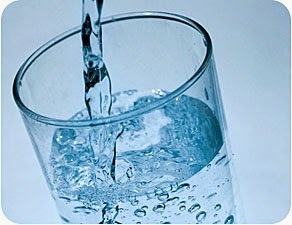 However other drinks/foods can make up your liquid which is defiantly good, means were not stuck drinking water all day. Other forms of liquids be it coffee, tea and most foods contains liquids which contributes to your daily intake of water. That being said these do come with extra calories, caffeine and sugars so you do have to then water how much you are consuming. For example caffeine drinks and some alcohols contain diuretic which makes your body produce more urine which in turn dehydrates you faster. So replacing that excess fluid loss is very important. So what I generally do after a night out drinking I drink a few glasses of water before I go to sleep so I don't have a hangover in the morning. This post was really helpful, and I definitely don't drink enough if we are going by these statistics! This was a great post. I never believed in water before and it was always the last thing I would drink. Then I started working in a stuffy office with no air conditioning and had no choice. I always had really dry skin but the moment I started drinking 2 litres a day, it cleared up. I totally underestimated it! I really must drink more water! Great post, I always try to drink about 3L a day. I carry a 1L bottle with me, and I make sure that I drink every 15 min or so. Since I've been doing this my skin has improved incredibly!